XOXO Jes - Canadian Entertainment News: The Royals Arrive in Calgary Today! The Royals Arrive in Calgary Today! After an unplanned detour to Slave Lake the Royals will arrive in Calgary today! 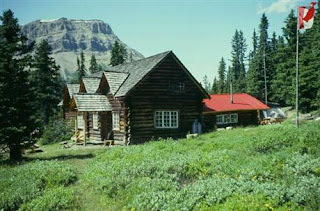 Last night they stayed in a back country cabin outside of Lake Louis. That seems about right. It looks like one of the houses that they lived in from the Lifetime Will & Kate movie. Maybe a bit more rustic, but close.